Ending the death penalty is within reach! From Colorado to New Hampshire, 2019 holds several important opportunities to advance our cause. 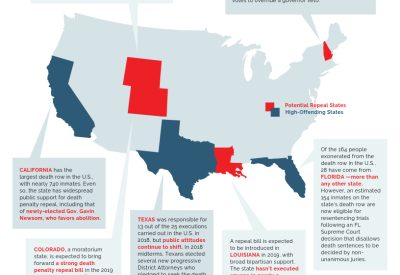 Download CMN's latest resource to stay up-to-date on the key states poised for death penalty repeal in the new year and ways that you can take action. 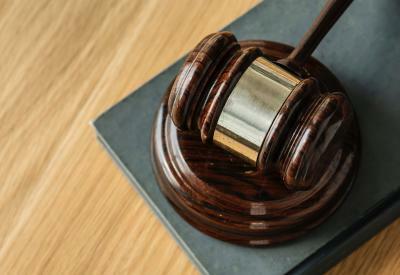 Learn a little bit more about capital punishment in the U.S., and how it relies on factors like race, income, geography, and mental illness to target marginalized groups. 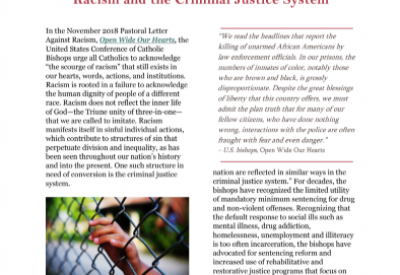 As a companion to their 2018 pastoral letter, Open Wide Our Hearts, the USCCB offers this helpful factsheet explaining the relationship between racism and our criminal justice system. The Catholic Church has long supported alternatives to capital punishment. 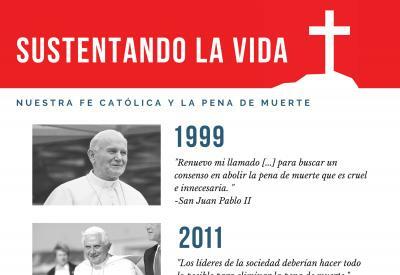 Click to download this one pager which outlines the history of Catholic opposition to the death penalty and how to create a more restorative path forward. Also available in Spanish here. CMN created brief one page information sheets that share Catholic Teaching and state-specific information on the death penalty. These are designed to educate Catholics, serve as bulletin inserts, handouts, or for those attending diocesan or parish advocacy days. CMN created brief one page information sheets that shares Catholic Teaching and state-specific information on the death penalty. These are designed to educate Catholics, serve as bulletin inserts, handouts or for those attending diocesan or parish advocacy days. CMN created brief one page information sheets that shares Catholic Teaching and state-specific information on the death penalty. These are designed to educate Catholics, serve as bulletin inserts, handouts, or for those attending diocesan or parish advocacy days.